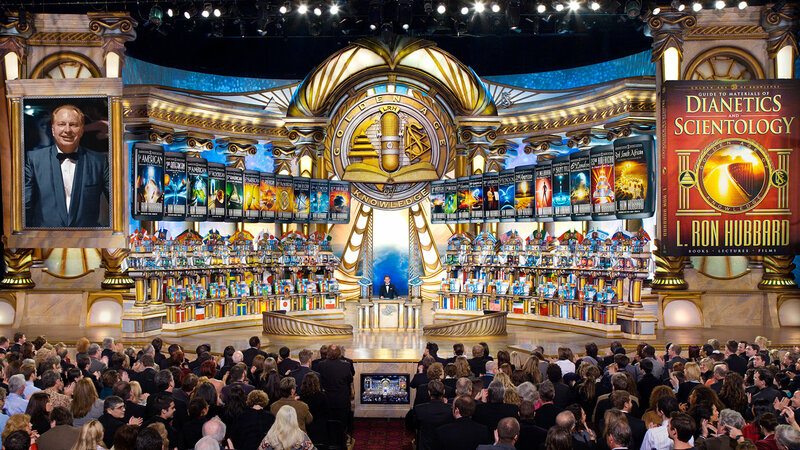 On this night, Mr. Miscavige announced not only a decade of milestone accomplishments, but the most monumental achievement in the history of the religion—completion of the 25-year program to recover, verify and restore the Scripture of the Scientology religion. The quarter-century endeavor that involved some 2 million man-hours to recover and make fully accessible all written and spoken words of L. Ron Hubbard constituted “the ultimate guarantee for the permanency of Scientology itself,” said Mr. Miscavige. With the launch of The Golden Age of Knowledge in 2005 came the release of the Congress Lectures, L. Ron Hubbard's special events containing his announcements of each new milestone breakthrough in the research and development of Dianetics and Scientology. In 2007 came the release that would “change the world of Scientology forever.” That is, Mr. Miscavige presented the fully restored Basics, Mr. Hubbard's 18 books and 280 lectures comprising the core of the Scientology religion. Since then, Scientologists have studied and learned their religion as never before. And in the final days of 2009, it was Mr. Miscavige’s announcement of the historic accomplishment crowning the Golden Age of Knowledge: the release in English of L. Ron Hubbard's Advanced Clinical Course Lectures. In all, these materials comprise more than 1,000 lectures and 500 written issues chronicling the day-to-day record of L. Ron Hubbard’s path of discovery in Dianetics and Scientology. While Mr. Hubbard announced each new milestone to Scientologists as a whole at his Congresses, in the Advanced Clinical Courses and accompanying Professional Course Lectures all wherefores and wherehows of application were presented to auditors. Finally, two notable public lectures by Mr. Hubbard were likewise released. The Golden Dawn: Phoenix Evening Lectures and The Lindsey Theatre Lectures: London Afternoon Series. Originally delivered to the general public to introduce them to Dianetics and Scientology, these lectures are now fully recovered, restored and available in 16 languages. And so it is that all materials of the Scientology religion, containing the answers that all humankind has sought for centuries, are now available in many languages, many formats, and forever, for the benefit of all.